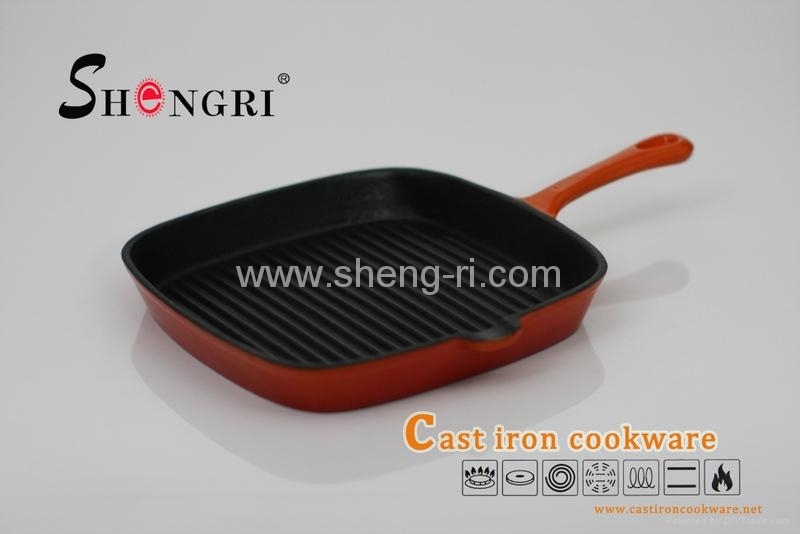 1.Rugged cast-iron construction heats slowly and evenly. 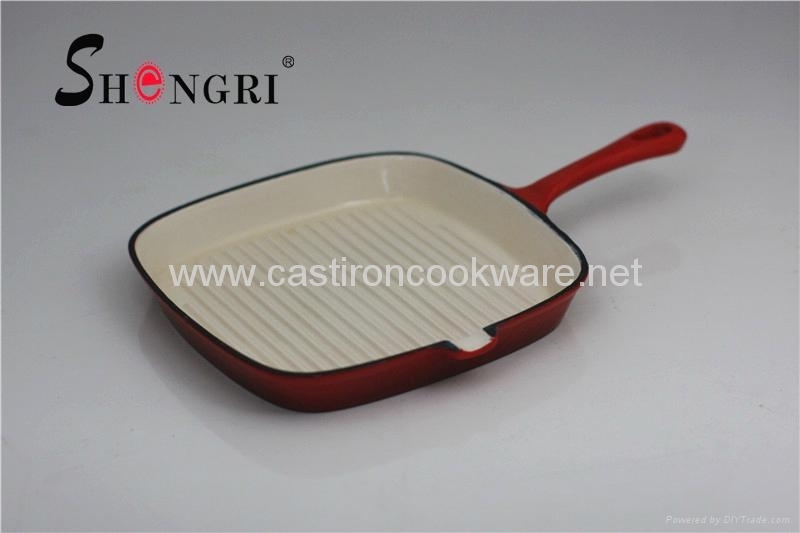 2.Enamel finish resistant to chipping and cracking. 3.Sturdy integral long handle with a ring can be hanging. 4.With ribbed bottom for low-fat cooking,Pouring lips drain fat. 5.Inner matte black enamel/ cream shiny enamel , no-stick and easy clean up. 6. Beautiful apperance adds color and style to your kitchen. 7.Many Colors for you to choose from.